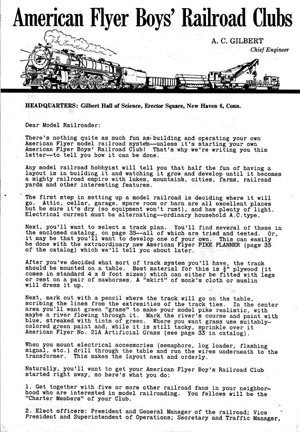 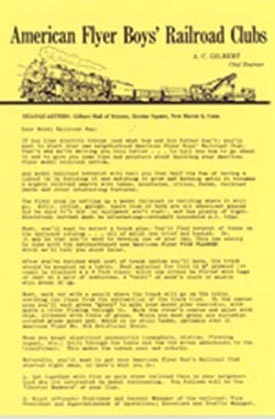 Amrcn Flyr : Olson Hobbies, Welcome To The Train Page! 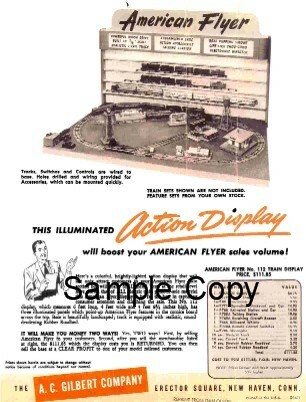 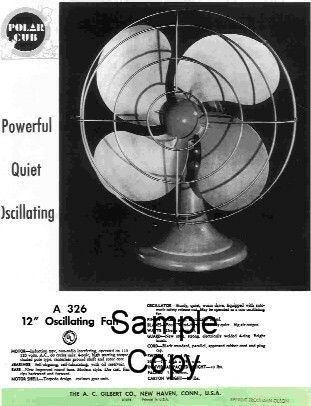 1951 American Flyer Erector & Retail Displays. 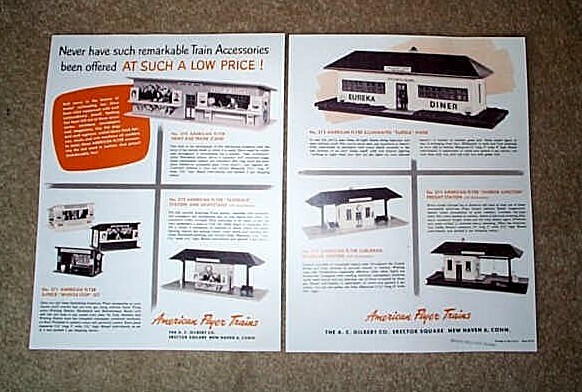 1950 American Flyer 50 Years Of Progress In Flyer (D1581). 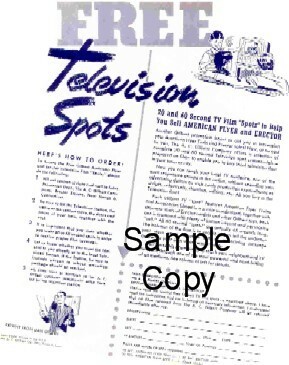 1950 American Flyer Free Television Spots (D1624). 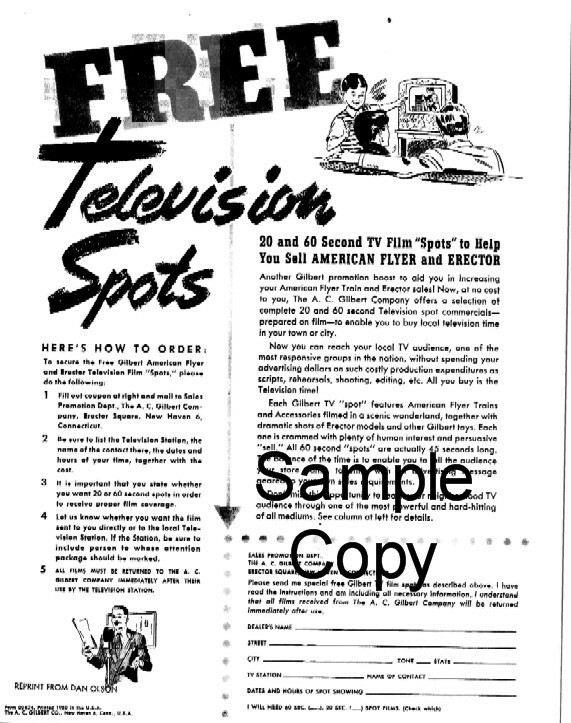 1951 American Flyer Free Television Spots Flyer (D1654). 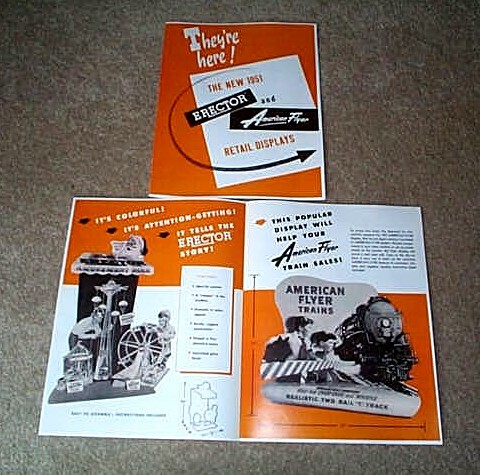 1951 American Flyer Television Promo (D1657). 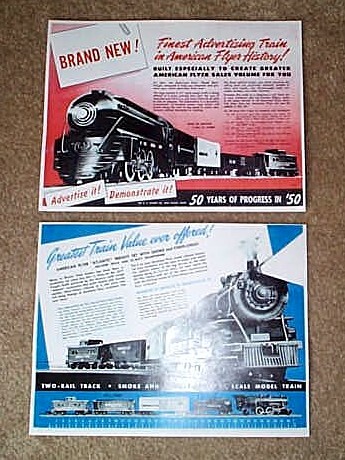 1952 American Flyer Boys RR Club News (D1688). 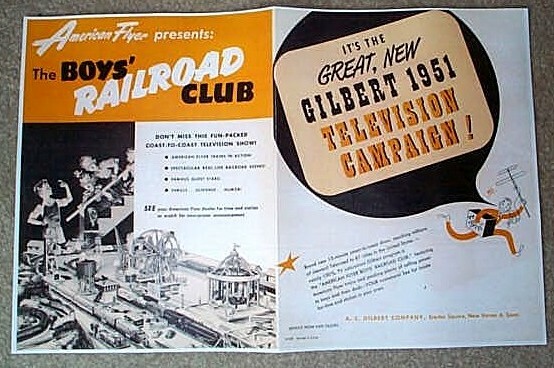 1954 American Flyer Boys RR Club News (D1762).